The Georgia Road or present day Federal Road was a route of the Trail of Tears walked by the Cherokee people during the forced removal from their homelands. The Tellico Blockhouse was the starting point for the Old Federal Road. The route ran from Niles Ferry on the Little Tennessee River near the present day U.S. Highway 411 Bridge, southward into Georgia. 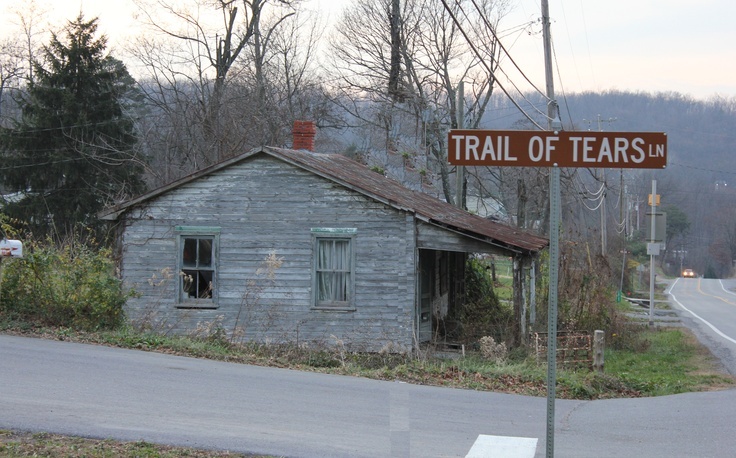 The road continued southward via the Federal Trail connecting to the North Old Tellico Highway past the present site of Coltharp School, intersected Tennessee Highway 68 and passed the site of the Nonaberg Church. East of Englewood, Tennessee it continued on the east side of McMinn Central High School and crossed Highway 411 near the railroad overpass. Along the west side of Etowah, the road continued near Cog Hill and the Hiwassee River near the mouth of Conasauga Creek where there was a ferry near the site of the John Hildebrand Mill. From the ferry on the Hiwassee River, the road ran through the site of the present Benton, Tennessee courthouse. It continued on Welcome Valley Road and then crossed the Ocoee River at the Hildebrand Landing. From this point the road ran south and crossed U.S. Highway 64 where there is now the River Hills Church of God, formerly the Ocoee Church of God. Continuing south near Old Fort, the route crossed U.S. Highway 411 and came to the Conasauga River at McNair Landing. Near the south end of the village of Tennga, Georgia stands a historic marker alongside Highway 411, which states the Old Federal Road was close to its path for the next twenty-five miles southward. This is some 15 miles from the historic Chief Vann Plantation where the first Christmas celebration of the Cherokee People was held. It would have been at this point in Tennga that the Trail of Tears would have taken a turn onto GA-2 passing the Praters Mill near Dalton Georgia to connect in Chattanooga, Tennessee.